In Salida, California, almost any time of the year is an inconvenient time for your air conditioning to fail. Irish Heating and Air will ensure you get the quick, reliable and affordable air conditioning repair you need. We have flexible appointment options that will get us to your door quickly. Just because you’re outside of Modesto doesn’t mean you’re less of a priority for us. We’ll be out to perform your air conditioning repair in Salida quickly—after all, we enjoy the relaxing drive and small-town feel too! Let us know if this is an emergency repair and we can be out even faster. Air conditioning isn’t a luxury in the central valley—its a necessity. That’s why we offer affordable air conditioning repair in Salida. 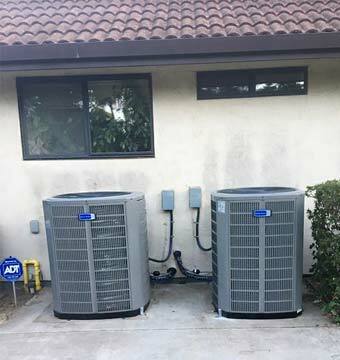 If you need to purchase a new air conditioning system, we provide a free consultation and financing options for the new system. Sometimes, you can save money by replacing your broken air conditioning system instead of repairing it, and we always want what’s best for you. Our HERO program (Home Energy Renovation Program) can get you a new central air conditioning system at no cost. You simply pay it off through your property taxes, when you like. However, a new system isn’t always the most affordable option. Generally, so long as your repair costs are less than half of the cost of the system, we recommend you get your existing system repaired. In any case, we strive to make your air conditioning as affordable and hassle-free as possible. Another way that we make your air conditioner more affordable is by offering preventative maintenance. If we can catch minor issues with your air conditioner before they cause further problems, then we can save you a ton of money. Plus, regular maintenance will keep your air conditioner running longer. 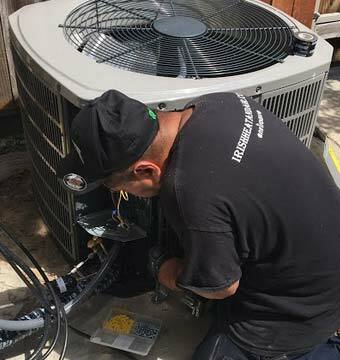 While most of the calls we get in Salida are for air conditioner repair and replacement, it’s not the only service we offer. Call us any time for furnace repair and replacement, commercial HVAC, thermostat repair and installation, and more. If you love the small-town feeling of Salida, you’ll get along with us at Irish Heat and Air. We’re a family-owned company that values our reputation. 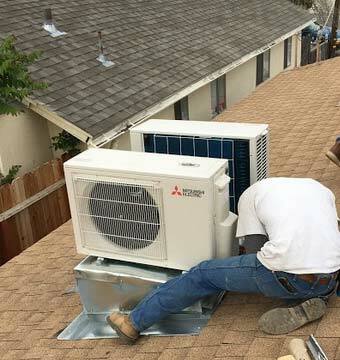 We’ll do everything in our power to ensure your air conditioner performs to your expectations. Contact us at Irish Heating and Air to get started.